The second publication by the Wexford Naturalists’ Field Club (WNFC) was launched by Alan McGuire in April 2015. 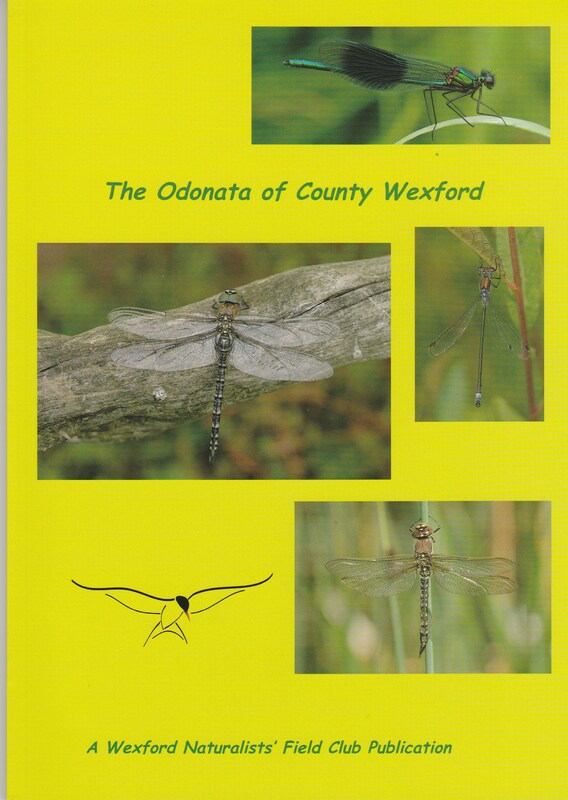 “The Odonata of County Wexford” covers the records and distribution of all known dragonflies and damselflies, 23 species in the county, up to 31st December 2014. Financed by the Environment Section of Wexford County Council, the WNFC and individual Species Sponsors. The impressive guide is packed with distribution maps, data and information on identification of dragonflies and damselflies and photographs in its 44 pages. The Field Club would like to thank all those who sponsored this publication, and of course the many individuals who submitted dragonfly and damselfly records, which have all contributed to making this beautifully illustrated guide so successful. This guide is an absolute must for anyone interested in our County’s biodiversity. All proceeds go directly to the Club, so feel free to support the WNFC by purchasing a copy for yourself, friends and relatives. The publication is available in most local bookshops and visitor centres. Copies are also available by post from the WNFC. Also by post from WNFC Please add €3.00 post & packing per book. 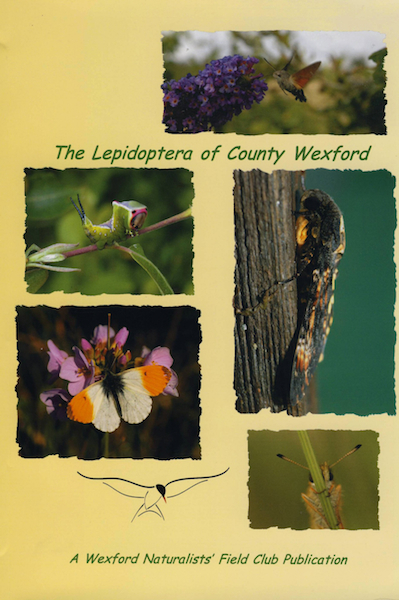 This first colourful guide, “The Lepidoptera of County Wexford” published by the Wexford Naturalists’ Field Club (WNFC) and launched by Gerald Fleming in 2009, covers all 711 species of butterfly and moth recorded in County Wexford up to 31st December 2008. Financed by the Agenda 21 Award Scheme, the Environment Section of Wexford County Council, the WNFC, C&R Print and individual Species Sponsors, the impressive guide is packed with distribution maps, historical information, flight times, food plants and photographs in its comprehensive 196 pages. The Field Club would like to thank all those who sponsored this publication, and of course the many individuals who submitted butterfly and moth records which have all contributed to making this beautifully illustrated guide so successful. Also by post from WNFC Please add €4.00 post & packing per book.